Poster designed by James Scripps Booth for an Art Exhibition at Detroit University School, 1903. Designs of the Times is the third exhibition in the Cranbrook Archives ephemera series. The exhibition, which represents Cranbrook’s diverse audiences by exploring both design and history, illustrates the impact of new technologies and the information age on the poster medium as visual communication. 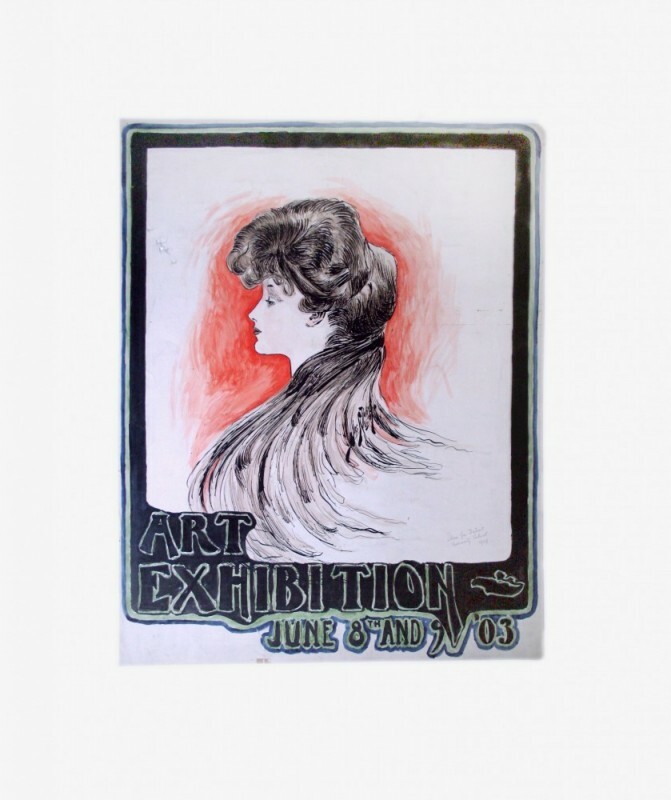 Organized chronologically, the exhibition documents the curatorial, educational, musical, scientific, social, and theatrical events that have enhanced and enriched the Cranbrook community for more than a century. The posters provide a forum for study, not only of historical events but also of the way they are represented through the poster as a social and cultural medium, reflecting the evolution of poster design in response to the changing needs of society. Designs of the Times: 100 Years of Posters at Cranbrook was organized by the Cranbrook Center for Collections and Research and curated by Head Archivist Leslie S. Edwards and Archivist Gina Tecos. The Center, which includes Cranbrook Archives, is supported, in part, by its patrons, the Fred A. and Barbara M. Erb Family Foundation, the Kresge Foundation, and the Towbes Foundation of Santa Barbara, California.